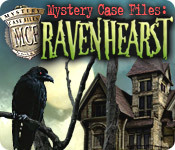 Mystery Case Files: Ravenhearst could safely be called MCF’s flagship game. While not the first, but MCF’s third release, its popularity firmly cemented the MCF series as a gaming force to be reckoned with and spawned two equally successful spinoffs — Return to Ravenhearst and Escape from Ravenhearst. 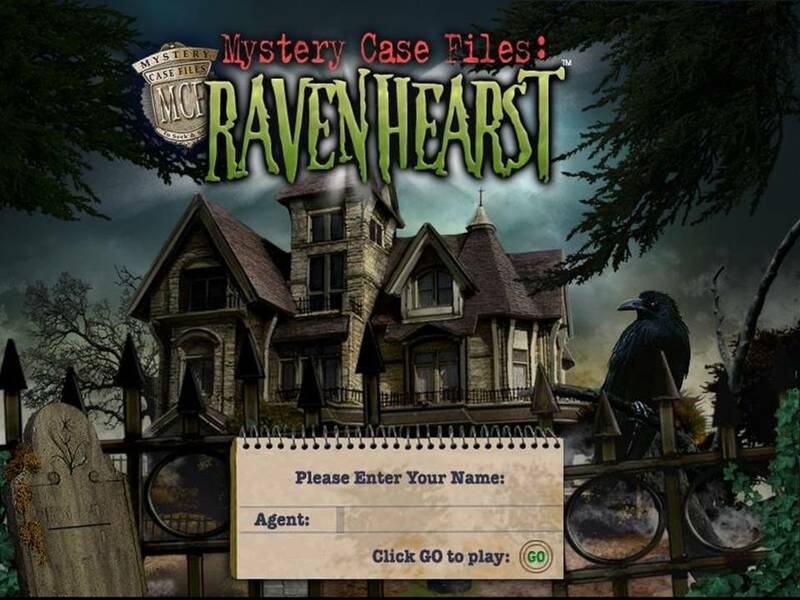 In this inaugural Ravenhearst effort, you, as a detective, are tasked with investigating mysterious Ravenhearst Manor by none other than the Queen of England herself. This stately manor near Blackpool has been cloaked in mystery for decades. 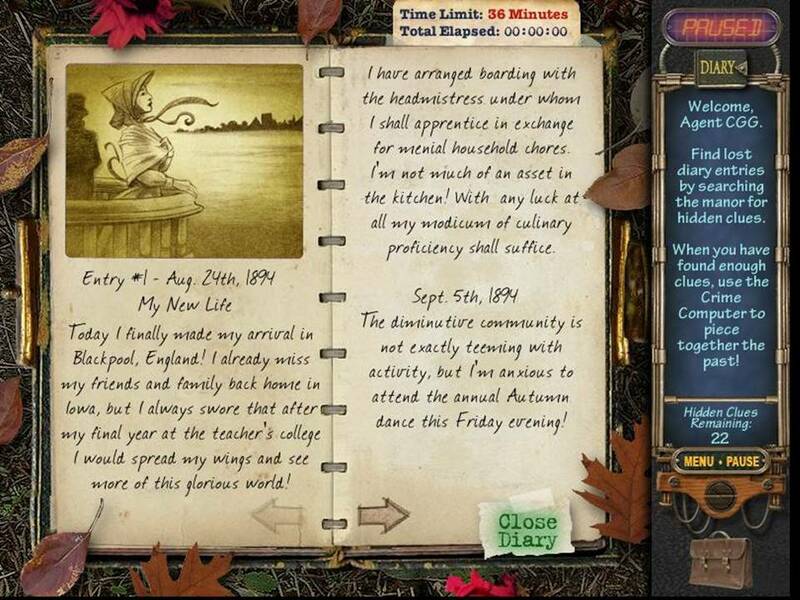 The Queen has in her possession the diary of Emma Ravenhearst, yet only one entry remains. 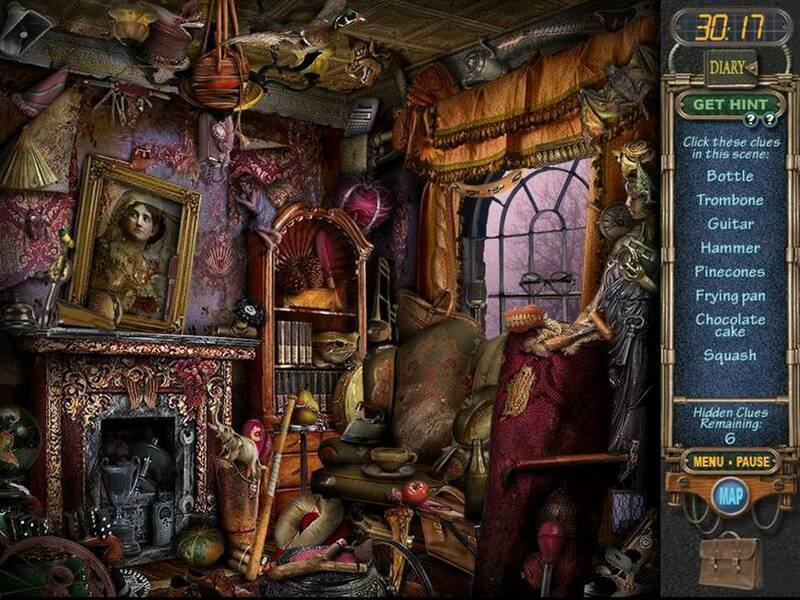 Can you visit the manor and locate the lost pages scavenged from over 32 separate locations and discover the truth? The premise, while solid and engaging, shoots itself in the foot a bit with the Queen referring to herself as "Queenie" in her communication with you. Were the game developers unsure of whether they wanted to be serious or satiric and, therefore, straddled the fence? Another clanger was the Queen's reference to the manor being located near Blackpool, Britain, in her initial missive to you. I can’t imagine anyone from the United Kingdom, let alone the reigning monarch, calling the spot anything, but Blackpool, England. Rooms are presented by location (noted on four file folders). 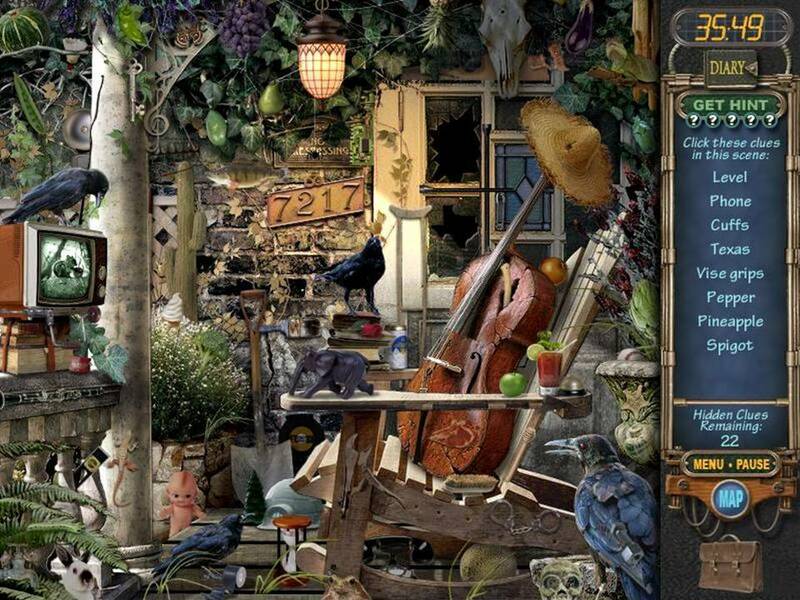 When you have solved enough room-specific hidden object areas , you are notified that a new diary page has become available. Diary pages must be reassembled on a jigsaw-like board. 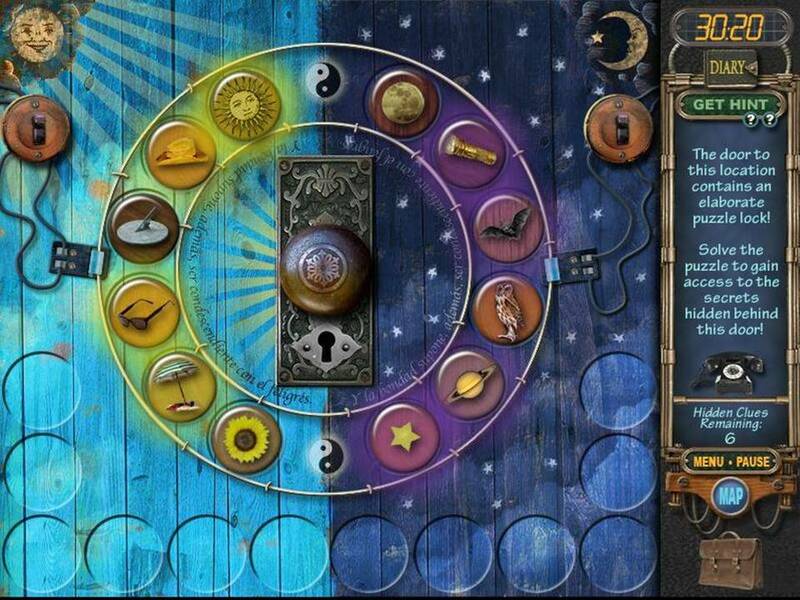 My main criticism is the multiple "locked door" puzzles which largely consist of Rube Goldberg-type contraptions. These challenges come with no text directions whatsoever and frankly it's near impossible to figure out what's expected of you. Even the hints (five per level now, up from three in Huntsville and two in Prime Suspect), simply pop up a cryptic visual and leave you on your own to determine what it's trying to tell you. Being a "word girl" at heart, I prefer some text directions. I've never been a big fan of the "pictograms" that have taken over society. Why did we need a stick figure in a dress to signify the Ladies Room anyway? Like the other early MCF offerings, it's only fair to judge Ravenhearst by its place in history. As a late 2006 release, it's noteworthy to see the great leaps forward MCF made in story development and game play from even its first two offerings. Placed in its proper perspective, Ravenhearst is a captivating caper that still holds plenty of fun for all ages.